The last few tournaments of the FNC regular 2015 season took place last week, and it settled the final invite list for the European Masters 2015 event. On Friday night in Nürnberg, Germany, Julius Preu needed to reach 4th place or better to guarantee his invite to the end of year finals. He managed to beat Jan Maly in his the round of 8, but his progress was paused by Markus Utke in the semi-final. Julius beat Rob van Heijst in the third place match, improved his 2015 rank to 13th, and will be competing in Berlin in December. 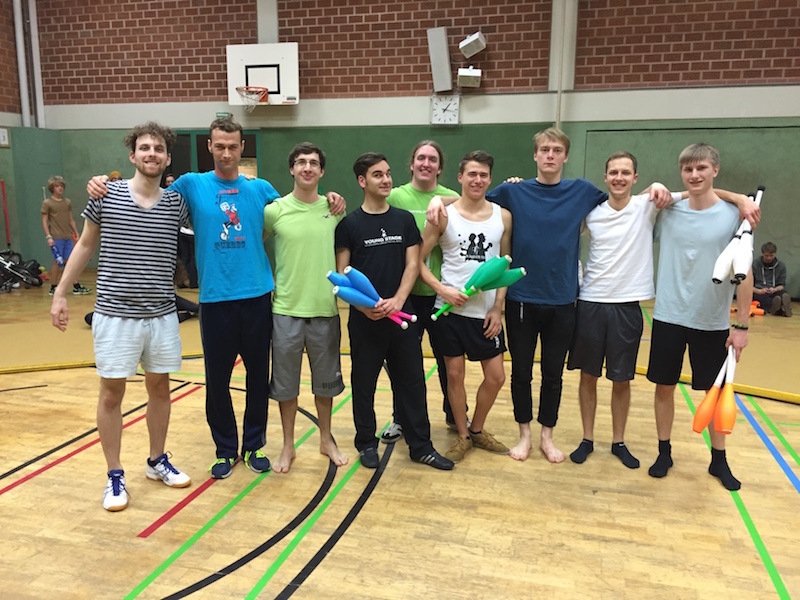 20 jugglers entered qualifications in Nürnberg, with Manuel Mitasch and Oliver Rudolph topping the two groups, and were seeded first and second. However, in a series of first round upsets, both were knocked out, by Markus Utke and Marc Hangartner respectively. Markus and Marc went on to reach the final, and in a very one-sided contest, Marc took first place. This is Marc's first Fight Night Combat victory in only his second tournament appearance. 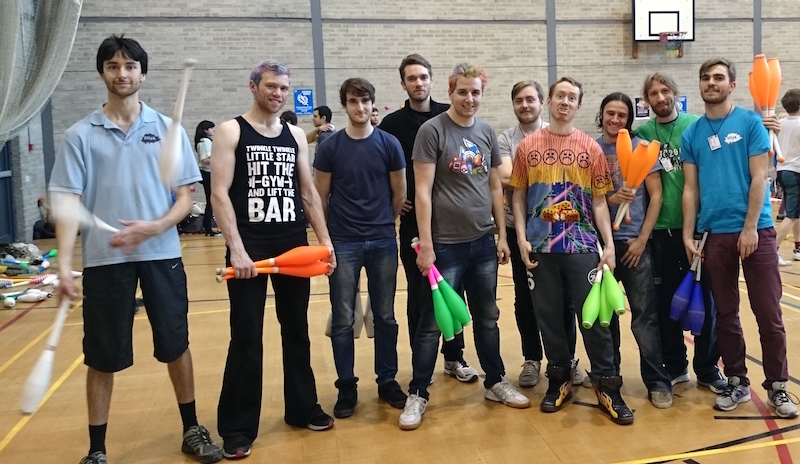 Then over in the UK on Saturday, a tournament was organized with only a few days notice at the Leeds Juggling Convention 2015 by Callum Lawrie. 200 rankings points were available for the winner, and 10 jugglers took part in qualifications. Brook Roberts was the highest ranked player to enter, and went unbeaten in qualifications. He made short work of Mark Pender-Bare and Jason "Twinkle" Jibrail in his first two knockout matches, but came up short in his final match against Dan Wood. Leeds was Dan's first FNC win in just over a year, since Durham 2014, and it improved on his second and third place finishes in 2015 at Chocfest and Cambridge. His win lifts him 12 places in the rankings and he ends the year at 23rd overall. Brook's second place lifts him into the top 10. Twinkle took third place and Callum Lawrie fourth. Catching up on older news, Circus Festival Ireland hosted a Fight Night two weekends ago. James Donnellan improved on his second place finish at Galway 2015, earning himself 125 rankings points for his victory in Tralee. Brian O'Connell took second place and 75 rankings points. Keep an eye out for exciting news about the European Masters 2015 over the next week, including how to get live scores and updates, and how to watch a live video steam from the tournament.